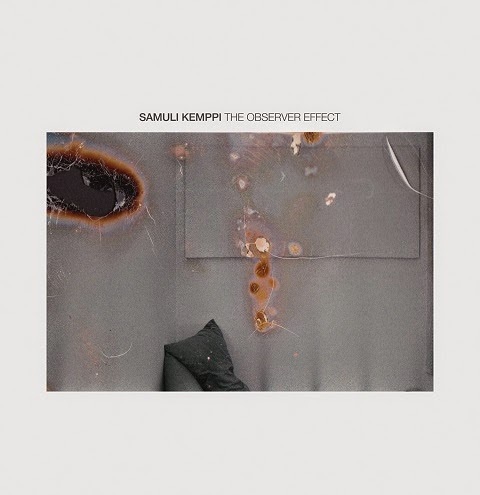 No kidding, “Observer Effect” is Samuli Kemppi’s first album and for a producer who emerged in 2002, this step is long overdue. Even if an artist can live without doing albums, because the high metabolic rate of contemporary techno favours short formats for keeping the crowds going with new and new tracks. That’s what Kemppi has done in recent years, putting out a steady stream of EPs on labels like Chronicle, Suicide Circus, Balans, Prologue and also on Deep Space Helsinki, homely imprint set up with Juho Kusti. Together they also run a weekly DSH radio show on Basso Radio, playing fresh promos and some classics. Anyone familiar with Kemppi’s music and DJ sets knows that grim industrial fare and dystopian scenarios are not his preference. In the same, the Finn is keen to explore the unknown, the far ends of the mental and physical world, expressed by his atmospheric yet trippy sound. The same approach is perceived in the album and it remains to be seen whether “Observer Effect”, also the first long player for Milan’s M_Rec Ltd label, refers to a Star Trek episode or science experiments. After entering the electromagnetic research department in “Particle Spray”, the next door leads directly to “Agitated” and to the dance sector. “Locked” is about a groove that, well, sounds locked but thereafter the lightning really strikes in “Power Of Voltages”, one of the album’s peak moments, and the same applies for vortical “Unsung Heroes”, while bleepy “250 Days” could stand for a techno version of “Baby Wants To Ride”. Revolving dark matter of “Water Lake” and “Beneath The Surface”, which would fit into Geophone catalogue, touch the abstract ends of club techno while the vinyl’s D-side is closer to ordinary loop tracks (“Tailgating”, “Never The Same”). Recorded and arranged live, “Observer Effect” is an album of friendly and stimulating techno to fill the night.